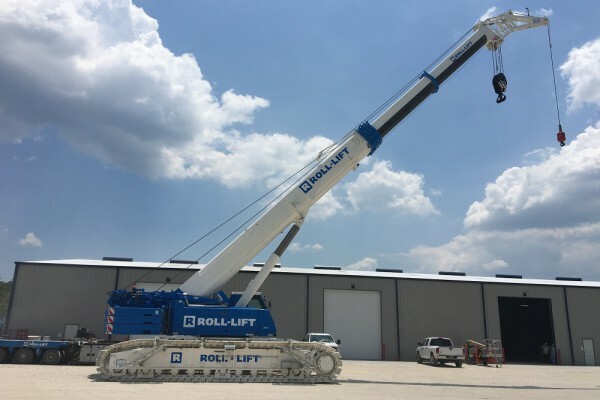 Roll-Lift USA added another Liebherr telescopic crawler crane to its fleet. With the purchase of this highly versatile equipment, Roll-Lift is aiming for change. Whether on a shutdown or on green field project, these machines proof their own strength. They are easy to transport and relocate, self-erecting, have narrow and wide track options, the ability to walk under pipe racks and a good lifting chart. The telescopic crawler crane LTR1220 was already introduced in 2012, but is rather new on the US market. The 220-ton crane (485,000lbs) is very flexible and manoeuvrable, with a maximum lifting height of 331ft (101m) and working radius of 289ft (88m). Although the industry standard is to be measured by size, this relative small crane of the Roll-Lift fleet, was selected because of its versatility. President of Roll-Lift USA, Denis Brouwer, explains: ,,As a Heavy Lifting and Transportation company we operate a full range of crawler cranes. Having introduced these machines to the various contractors we see that the market has an appetite for this type of cranes. I think that the days of mechanical cranes are over, and that the LTR machines will have the future for supporting the construction industry.’’ Roll-Lift is currently expanding its fleet with new cranes to offer clients more possibilities.